It’s a new year, so it’s time to get in shape for aural rehabilitation—you’ll lose count of all the great activities in this month’s lesson kit! This brand-new themed lesson kit is packed with 50 pages of professional speech therapy lesson plans & high-quality illustrations. Download your free rehabilitation lesson kit at the bottom of this post! Wondering what this rehabilitation lesson kit is and who it’s made for? Our free lesson kits are a professional resource for listening & spoken language specialists, audiologists, speech & language pathologists, rehabilitation specialists, and any other professional that works with children with hearing loss. Every month, we share a new aural rehabilitation lesson kit filled with complete lesson plans and printable therapy resources. These lesson kits are always available free of charge—we’re here to support your work and help children with hearing loss. If you’re new to our themed lesson kits, you should start with Lesson Kit #1 “My House”. The first rehabilitation lesson kit is also available in German, French, Portuguese, and Russian! Lesson Kit #2 “My Kitchen” is also available in French, Portuguese, and Russian at the bottom of the English articles! This month, the lesson kit theme is “Shapes & Numbers”. 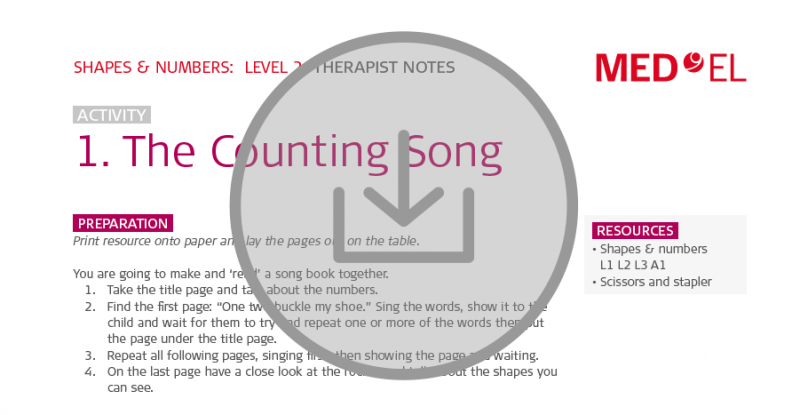 There’s a counting song to help build listening skills with numbers, a mix & match number puzzle game for building vocabulary, a hands-on clock with shapes and numbers, and a shape sorting game with common objects. This comprehensive speech therapy lesson kit is a pdf that’s designed to be printed and reused. Every lesson kit has three levels and includes lesson plans with four complete activities and therapist notes for each activity. There’s also step-by-step guidance and printable illustrations for each activity. Each lesson plan highlights useful therapy strategies to help achieve the listening and language goals. Each lesson kit has three levels of each activity to cover a wide range of listening, spoken language, and cognition abilities for children. 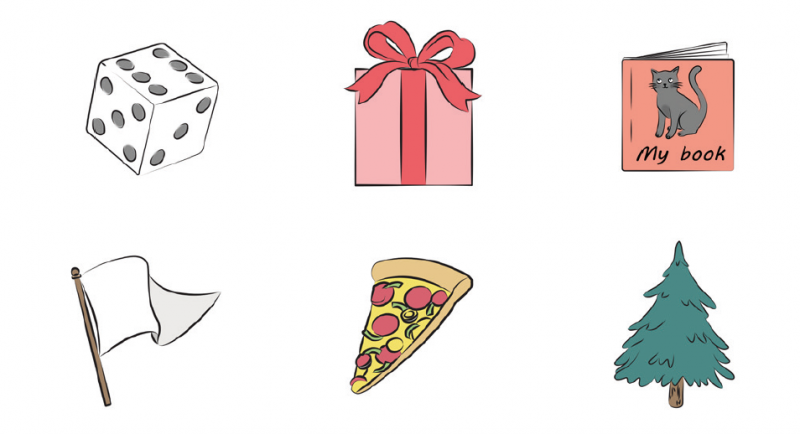 Download Rehabilitation Lesson Kit #21: Shapes & Numbers now! Don’t forget to subscribe to get all our latest articles sent right to your inbox!